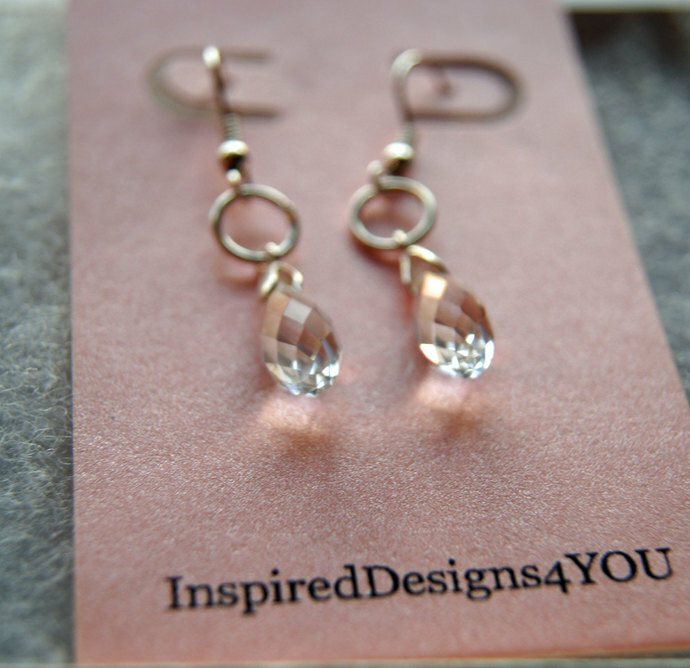 Crystal Pear Drop Swarovski Crystal Earrings. 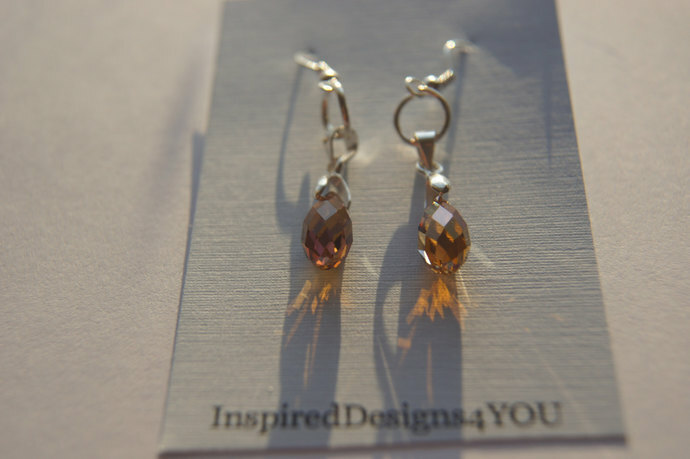 Capture the light around you in these elegant earrings. Beautifully in these cut crystal earrings, characterized by exquisite 'diamond patterns'. Make a statement wearing you favorite outfit, transitions easily from business to party. The luster is translucent. Briolette cut is so appealing, one of my favorite to show of Swarovski to it's full measure. The teardrop earrings add a delicate beauty to any day or evening ensemble, transitioning with ease. the drop down window to make your choice). Measurements: Earring 15 mm (0.590 inches) drop earrings with shepherds hook (fish hook), clip-on is available for 'non-pierced' ears. I recently present these to a very dear friend of mine who is 85 years young and loves any hues in gold to yellow. A Customer how bought the tanzanite earrings said: "The necklace and earrings are lovely - beautiful violet color, and very nicely designed! I am so pleased with what you have created. It was also so nice of you to include the key chain, the small blue tote bag, and the non-tarnish paper to help keep the jewelry looking great. In every way, you have made me a happy customer!" Shipping is via Canada Post International Small Package unless you convo me and wish expedited faster shipping, as this method has tracking a phone number is required. All items in my shop are nickle free and hypo-allergenic.